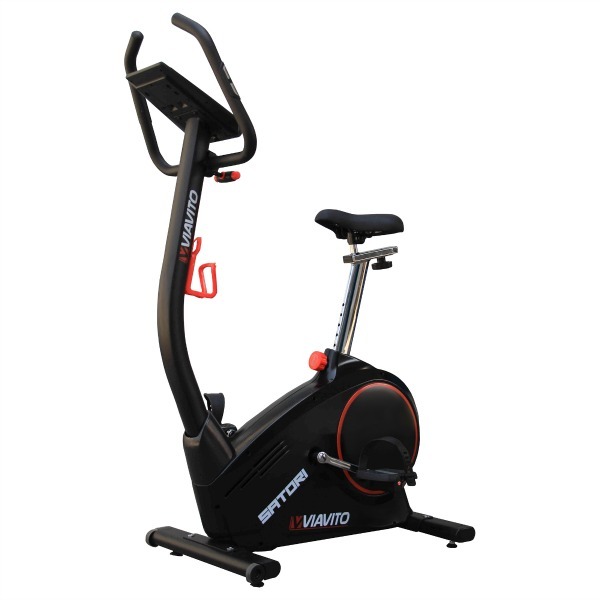 Viavito Satori Exercise Bike Review & Best UK Offers! Viavito, the new brand launched in Autumn 2015 really impressed us with their first bike, the Onyx. 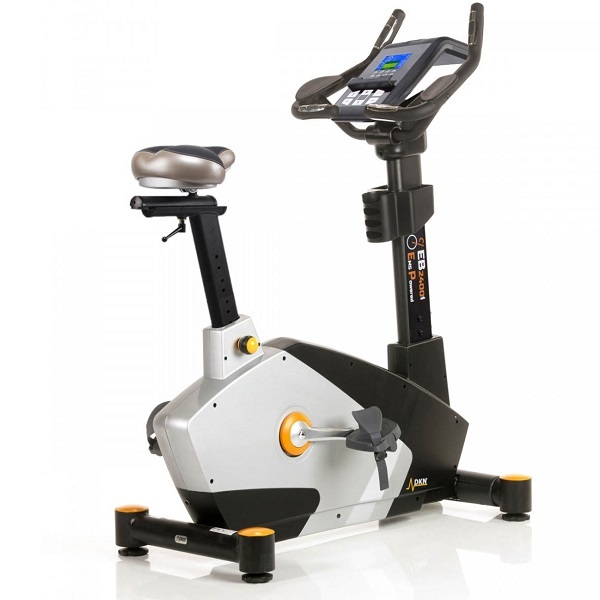 Given this, we were really eager to get our hands on the 2nd exercise bike in their range: the Satori. On paper, the specs are impressive relative to similarly priced bikes from other brands, but how does the Satori stand up to our rigorous testing. The assembly process was pretty straightforward and only took about half an hour (much like many other bikes). As always, we paid close attention to how well everything lines up and fits together and the Satori passed with flying colours and gave us a good first impression. In terms of looks, the Satori has a touch of class with its small footprint and slick and stylish looking console (more that later!). Naturally, we were keen to jump on and try it out! The seat itself has a good level of padding and is fairly comfortable. Once we started pedalling, we were very pleasantly surprised: it’s silky smooth, thanks to the hefty 9kg flywheel that Viavito have managed to squeeze into the Satori’s compact footprint. We always look for a strong top resistance in a bike. 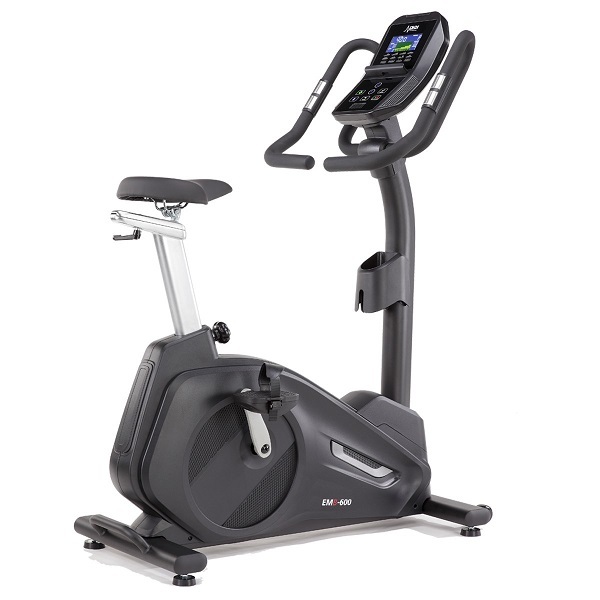 This is important as a decent top resistance means that the bike will continue to provide the exertion levels required to get a user’s heart rate up, even as their fitness levels improve. On this front, the Satori certainly didn’t disappoint. Strong top resistance and plenty of adjustment options with 32 levels of computer controlled resistance on offer! Apart from looking stylish, the console is what really differentiates the Satori from pretty much all the other machines on the market at under £400. Hidden at the back of the console, we saw there was a little switch for “KM or MI”! 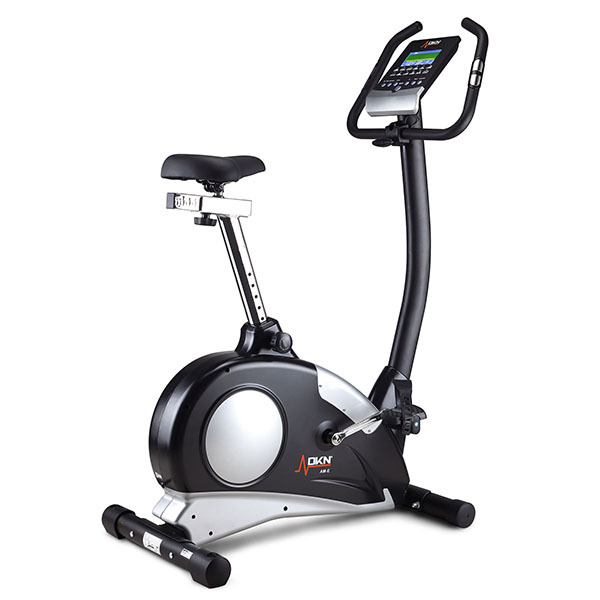 Finally, a budget priced exercise bike the market that can be switched between metric and imperial! But that’s just the start: the use of a dial on the console is superior to its competition that mostly have buttons for ‘up’ and ‘down’ that require repeated pressing to make large adjustments. 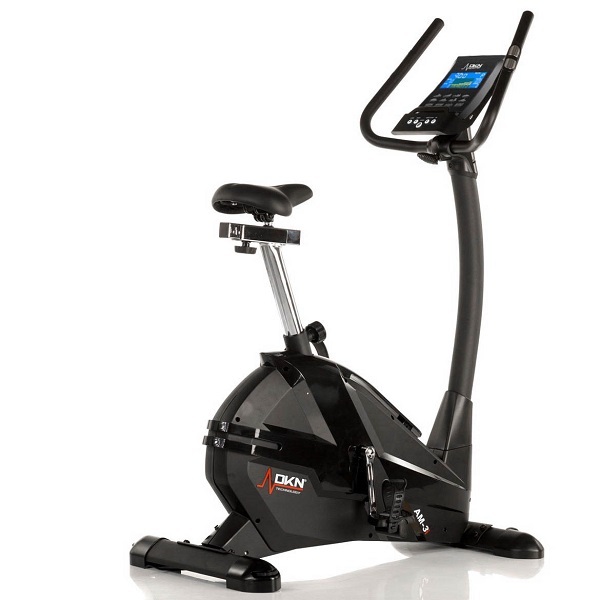 The display is a backlit, colour LCD of a good size which makes getting workout feedback a doddle. We’re a big fan of user profiles that allow the age, gender, weight and height of a user to be entered for a console to produce personalised feedback such as more accurate estimations of calorie consumption and the Satori offers 4 user profiles. 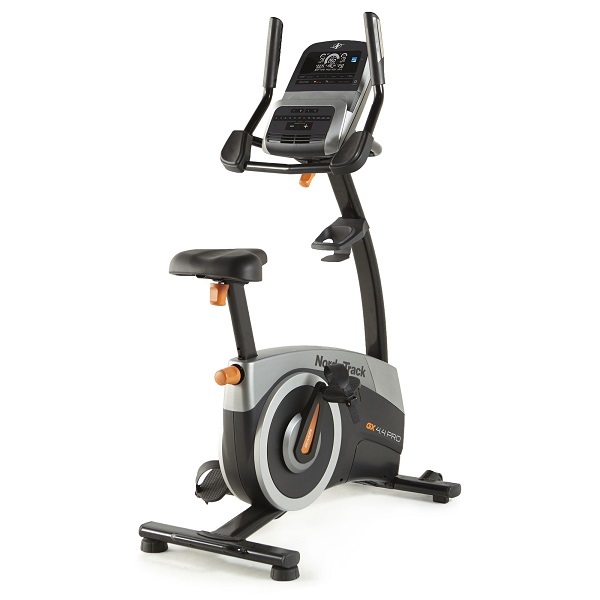 Surprisingly for a machine at this price point, there is a Polar compatible heart rate receiver built into the console (which works with any uncoded chest strap) to provide accurate heart-rate information and there are heart rate programmes on offer as well. Like many other machines, there are 12 pre-set programmes and the profiles are usefully printed on the console to assist selection. Unlike the majority of other machines, each of these programmes can be used at 16 different difficulty levels and for a user-defined duration. This is a pretty neat feature, as it means that the machine can provide relevant exercise difficulty to users of different fitness levels. For those that are looking for a programme profile that is not available as one of the pre-set ones, there are several user defined ones that can be created and stored. As always, it’s good to see a WATT control programme present. Whilst this is typically only used by those following medical advice on the precise level of exertion at which they should be exercising, its presence indicates that the Satori has been calibrated. This is a reassuring sign of quality for us. Despite its compact dimensions, the Satori is a quality machine with heavy duty components and the weight of the product is over 30kg. So, whilst there are transport wheels built into the front stabiliser, it’s advisable to seek a permanent place for it in a home environment, rather than trying to move it each time it’s going to be used. There’s a respectable 2-year parts & labour warranty on the product as well, for additional peace of mind in the unlikely event of something going wrong. 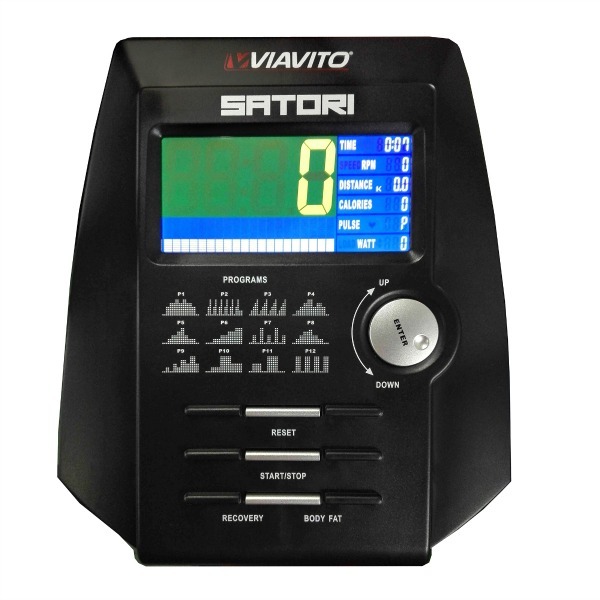 Featuring a heavy 9kg flywheel, good resistance range, user profiles, heart rate control and a feature rich console the Viavito Satori really stands out as a good choice. What's not to like? It certainly looks great too! There are very few bikes we've seen at this price that deliver this type of performance so we can happily recommend the Satori.